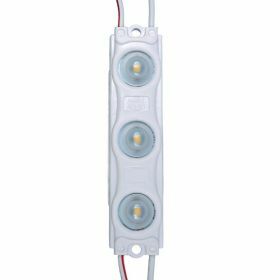 This 2-Channel PWM LED Dimmer module is suitable for dimming LEDs, LED strip light, G4 bulbs, LED modules and more. 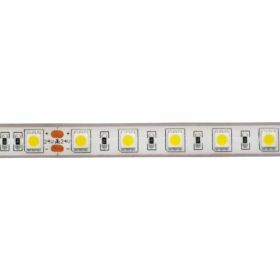 It can drive up to 10A with the 2 channels bridged (over 16m of our 24V 5050 strip light) and can run from between 8V and 25V. Simply control with the rotary shaft on the front, a simple set-and-forget solution to dimming. This dimmer module connects in series between the power supply and the product being dimmed. Wire the power supply into the GND negative and VIN positive terminals. Wire the LED load to the OUT- negative and OUT+ positive terminals. 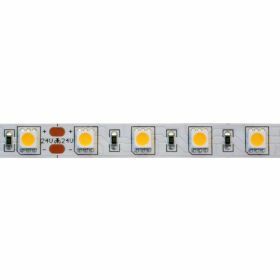 Note: PWM Dimmers cannot be used to dim high power GU10 or MR16 bulbs that have internal power supplies.